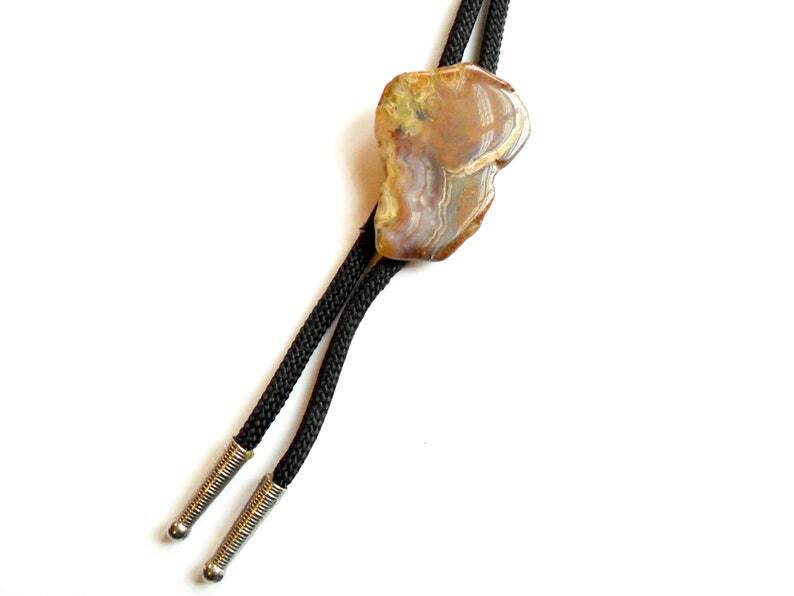 Unique vintage bolo tie featuring a polished stone slab slide on black nylon cord, finished with silver tone tips. The back of the bolo tie shows some wear. Cord measures 34 inches from tip to tip. Slide measures 2 inches long, 1.375 inches wide.